I love fried plantains. And just calling out “Plantains!” will get my kids running to the dinner table any day. Especially the way I make them. I will eat them any way you cook them, but I’m going to teach you the way I like them best. 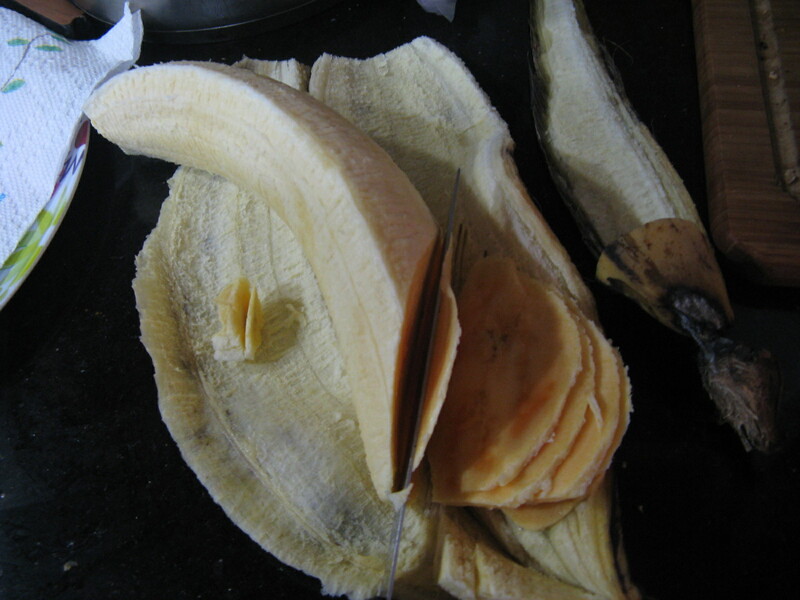 First you have to choose a really ripe plantain. I mean, really ripe. 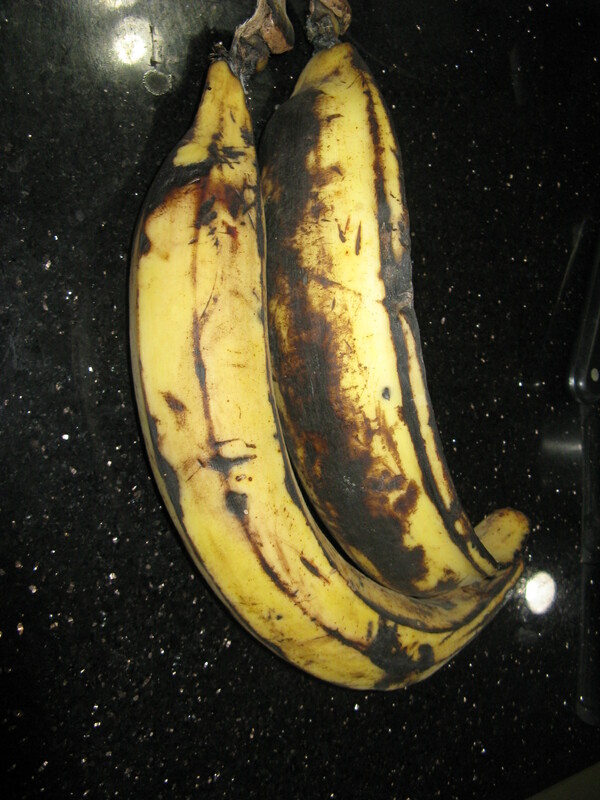 I like mine turning black bordering on overripe. 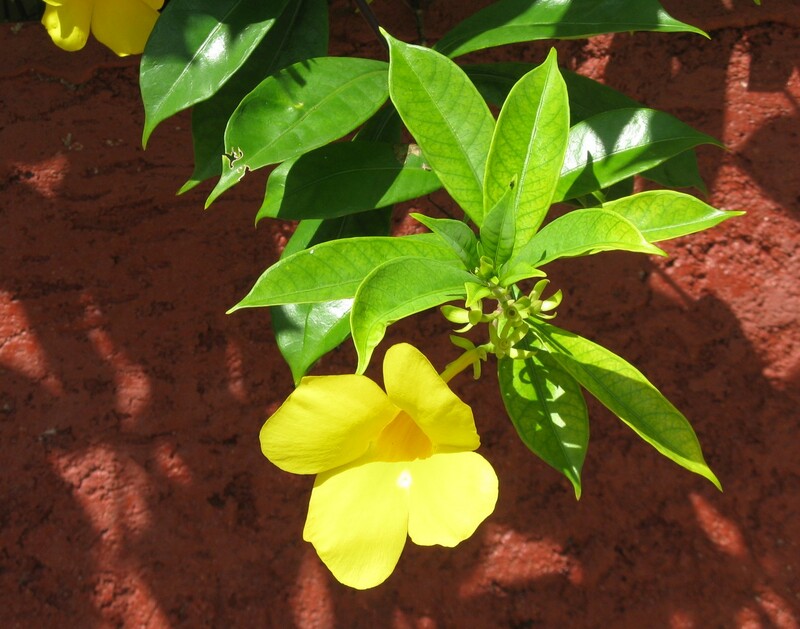 That is when they are the sweetest, and if they are not really ripe, they can end up tasting a bit stainy. I know that in those first world countries, they find a way to get their plantains to look pretty and yellow until they die. Oh, well, do your best. 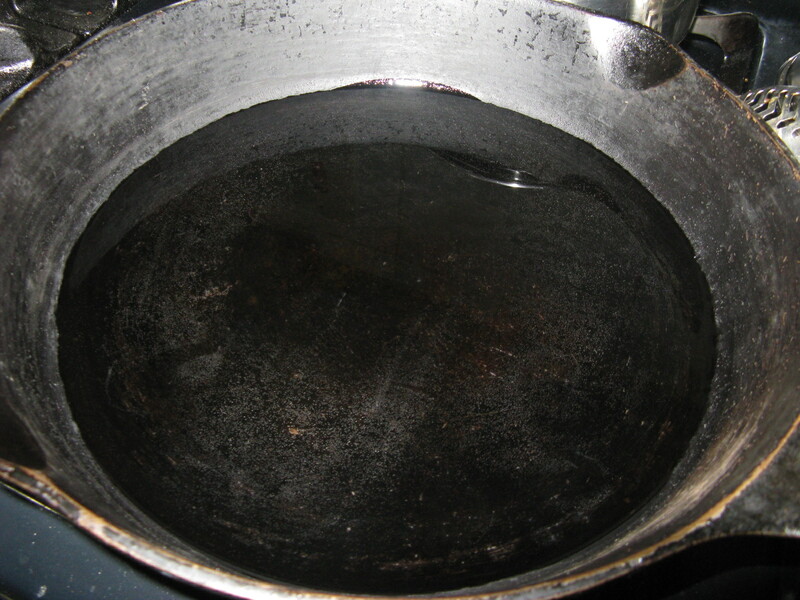 First of all, get out a large plate and put a square of paper towel on it to soak up the excess oil. 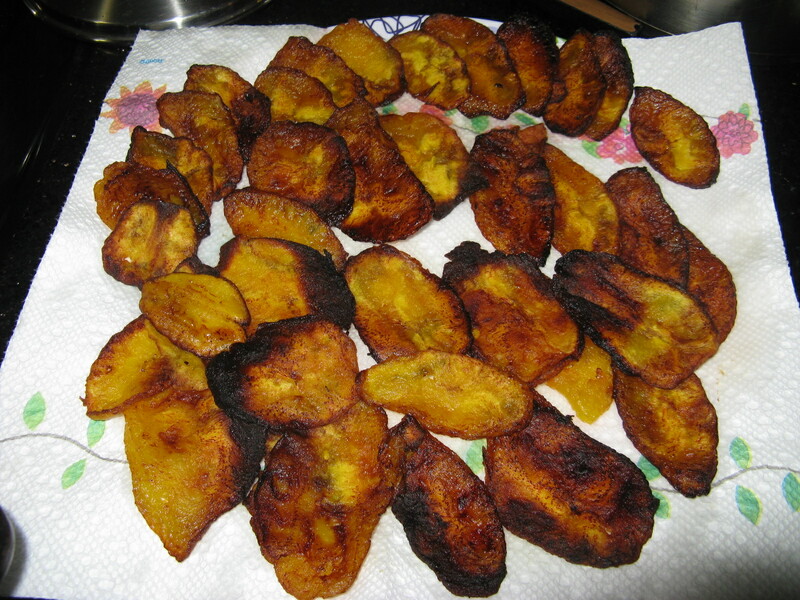 You have to get this ready because you don’t want to be hunting around for it while your plantains are cooking. Now I like to slice my plantains really, really thin. I aim for 1mm to paper thin. This is the difficult part, and also the most important part if you want them to be crispy. chewy delicious. Then you put your slices in the pan and wait until you see the edges turn brown. As soon as this happens, turn them over. A fork works best for this procedure. See the pieces turning brown around the edges? Turn those first. 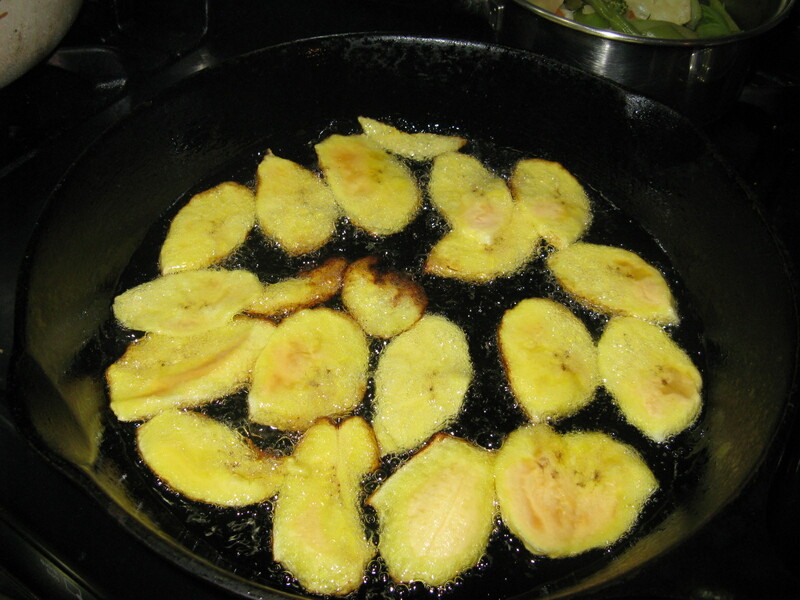 You must stand over the pan because plantains burn very easily, particularly if you turn your back on them. They don’t like that. So make sure you stand and watch them. Check now and then to see if they have turned golden brown. Then, remove from the fire and place them on your plate. And they should be crispy at the edges, chewy in the middle, and soft and sweet all at the same time. Yum! And after they’re all gone, please come back and let me know if you liked them by leaving a comment below. Enjoy! Posted on January 29, 2014, in Food and tagged food, jamaican dishes, Jamaican fried plantains, jamaican recipes. Bookmark the permalink. 2 Comments. Thanks for sharing! I was excited to learn some of the secrets of good fried plantains!